My Name Was Keoko is written in the first person, but with an interesting twist. The story of the Kim family in Korea during World War II is told in the alternating voice of Sun-hee, 10, and her brother, Tai-yul, 13. 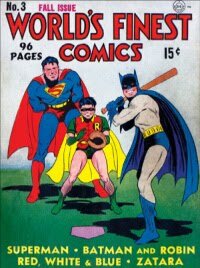 The story begins in 1940. The Japanese have occupied Korea since 1910, systematically suppressing Korean culture in favor of their own, and now, they want every Korean to change their names to a Japanese name. Sun-hee becomes Keoko, Tae-yul is given the name Nobuo and their last name Kim is changed to Kaneyama. Everyone is unhappy about this name change, but what can they do? Quietly resisting, the Kim family can and do remain Korean within their homes and within their hearts. Their father’s brother, Uncle, lives with the family and runs a printing store. As the Japanese become more and more restrictive, it seems that Uncle is cozying up to them, getting many additional printing jobs from them. Sun-hee and Tai-yul are wondering if there fiercely pro-Korea Uncle has suddenly become Chin-il-pa, a “lover of Japan.” Chin-il-pa is are Koreans who gets rich because they cooperate with the Japanese government (pg 22) and they are thought of as traitors by other Koreans. Sun-hee and Tae-yul decide to investigate Uncle’s activities, only to discover that he not Chin-il-pa, but working for the Korean resistance movement. His outward friendly display towards the Japanese is an attempt to keep their suspicions at bay. One night, Sun-hee’s old Japanese friend Tomo comes by to hint that Uncle is in danger. Sun-hee immediately warns her Uncle and he disappears, no one knows to where. Now, during their nightly accounting, when everyone must stand outside their homes for as long as the Japanese want them to, they search the Kim home to find evidence of Uncle’s activities. The Japanese authorities continue make life very hard for the Koreans, asking for more and more to be sacrificed for the Emperor. And they become even harsher and more demanding as they begin to lose the war. Families are forced to give up metal including pots and pans and their jewelry to be melted into munitions. Small acts of defiance follow these demands – Sun-hee’s mother hides a meaningful dragon brooch in her underwear. When her rows of Sharon trees, which had been the national flower of Korea, are ordered cut down and burned, in favor of Japanese Cherry Trees, she has the children save one small tree. They replant it and hide it in the tool shed. Then, to make matters worse, towards the end of the war, Tae-yul, who has always been fascinated with machines and airplanes, unknowingly volunteers as a kamikaze pilot in the Japanese Special Attack Unit. Must they now make the ultimate sacrifice for their oppressors? 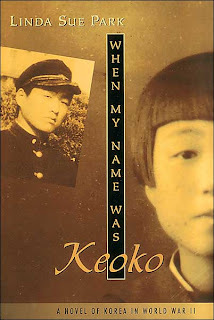 When My Name Was Keoko moves along less by action and more by description, almost like a diary of each child’s experiences. This also means that Park can more naturally include a lot of Korean history and culture without lapping into a kind of pedantic exposition that would cause the reader to lose interest. Park’s characters are well rounded, with a true to life feel to them. I was particularly drawn not just to Sun-hee but also to her elderly neighbor Mrs. Ahn, who in her own way refuses to accept the Japanese. Among the many things in her Author’s Note at the end of the novel, Park writes that this novel was inspired by many of the stories her parents told her about their lives growing up in Korea during World War II. In fact, the name Kaneyama Keoko was really her mother’s Japanese name at that time. Her parent’s stories must have helped her form the alternating voices of gentle, thoughtful Sun-hee and her angry, impulsive brother, giving a broader picture of what life was like under the Japanese and the frustrations Koreans felt as they watched helplessly while their culture was decimated. Park has used other true events not connected to her family, but these are tailored to the Kim family in the novel. It is things like this that give a novel a realistic feeling such as that found in When My Name Was Keoko. There is a note on Korean terms of address included, as well as a very useful short bibliography in addition to the Author’s Note. I really liked this book, it is a quietly powerful story that stayed in my mind long after I finished it, and I highly recommend it. This book is recommended for readers age 9 and up. This book was borrowed from the Webster Branch of the NYPL. The Wake County North Carolina Public Libraries have provided an excellent study guide for When My Name Was Keoko. I really loved this book! I'd love to teach a whole year of WW2 and include this book (and so many others)! I know what you mean. I feel the same way about a lot of the books I have read for my blog. I'm sure you do,too. This sounds like a wonderful children's book but also a book from which adults could learn a great deal. I have met many Korean students in my years in New York City, many of them live in practically all-Korean neighborhoods and keep up their own language and culture. But as an outsider, one knows little. This book could give a particular kind of insight. Thanks, Alex, for bringing it to our attention. I'm glad to see you liked this book. I picked it up at a library sale awhile back but haven't read it yet. I've added your review to the War Through the Generations WWII page. I really enjoyed this book as a Korean student wanting to learn more about my country's history!! !